Lebanese cuisine boasts multiple lentil and rice dishes, ranging from this basic vegan recipe to porridge to dishes containing numerous spices and more than one meat. This dish is simple. Anyone can make it. It is as cost-effective an option as it is filling, works as a side or a main dish, and can be converted from stove top (if you tend to burn rice like me) to rice cooker cooking. This dish always has me in tears for two reasons. The first is that it gives off the comforting aroma of a home I am separated from. The second is that it requires onions. To that latter, I share a tip from my younger sister (who is an amazing cook and runs a pastry kitchen): chew mint gum while chopping your onions. Shed only the tears that stem from love overflow. 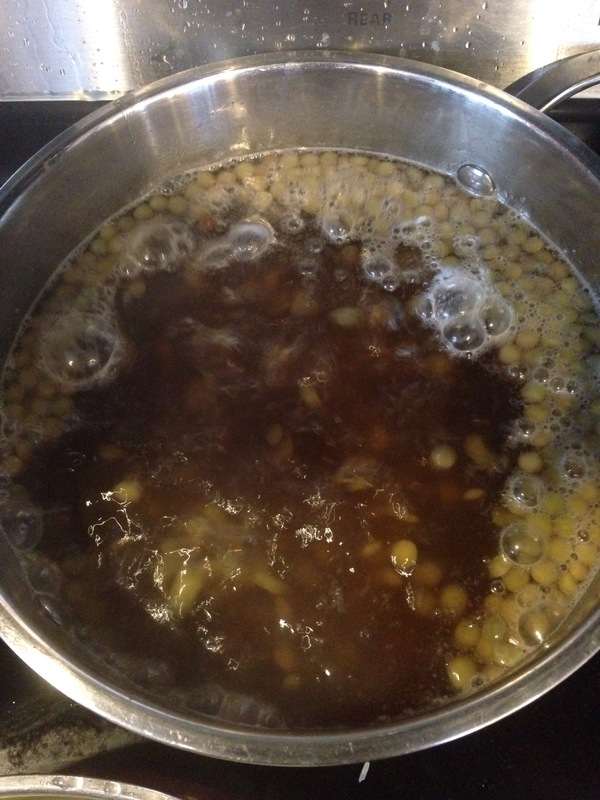 Place lentils in a pan with plenty of water. Bring to a boil and simmer 15 minutes to cook them about halfway. When your lentils are started, look to your onions. They will the most labor-intensive part of this dish. One and a half onions should be sliced into thin rings. Set aside. Put 1/4 cup olive oil in a pan over medium heat. Finely chop the remaining one half onion and saute until it turns yellow. When the chopped onions are yellow, lower the heat and add the rice to the pan. Saute the rice until it begins to change color. Remove from heat. Drain your lentils, but keep at least two cups of the water they were cooked in. 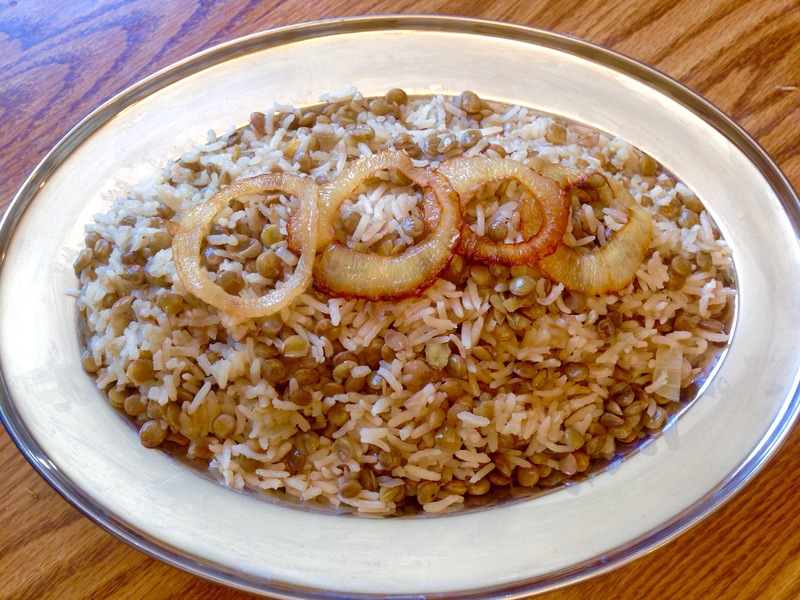 Mix half-cooked lentils, rice and onions, salt and two cups lentil-infused water in the cooking vessel of your choice. 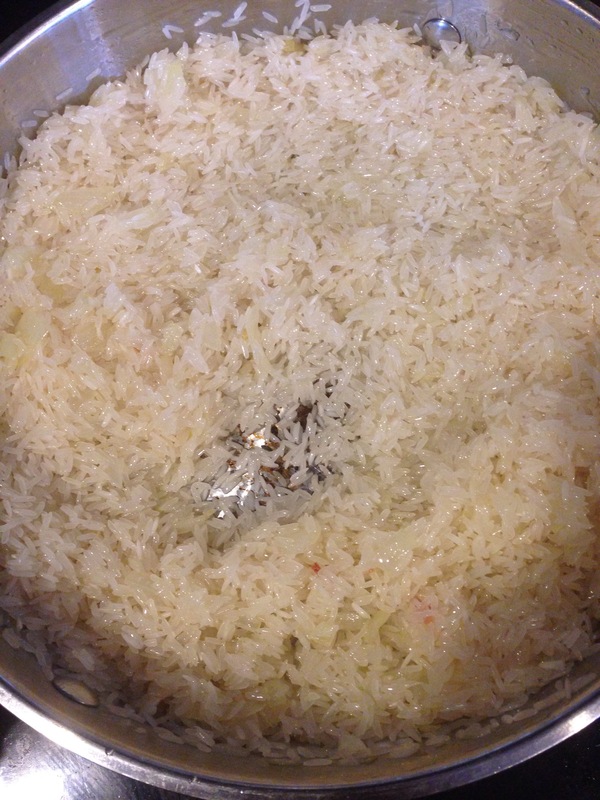 If you are using a rice cooker, add 1/4 cup more water and cook on the White Rice setting. For the stove top, cover your pan and bring water just to a boil. Allow 15-20 minutes for this to cook. Use your ears. Periodically listen to make sure there is still water boiling at the bottom of your pan. This will prevent burning. If you don’t hear the water bubbling and the rice at the top layer is not cooked through, add more water and re-cover the pan without stirring. In a saute pan, add 1/4 cup more oil and onion slices. 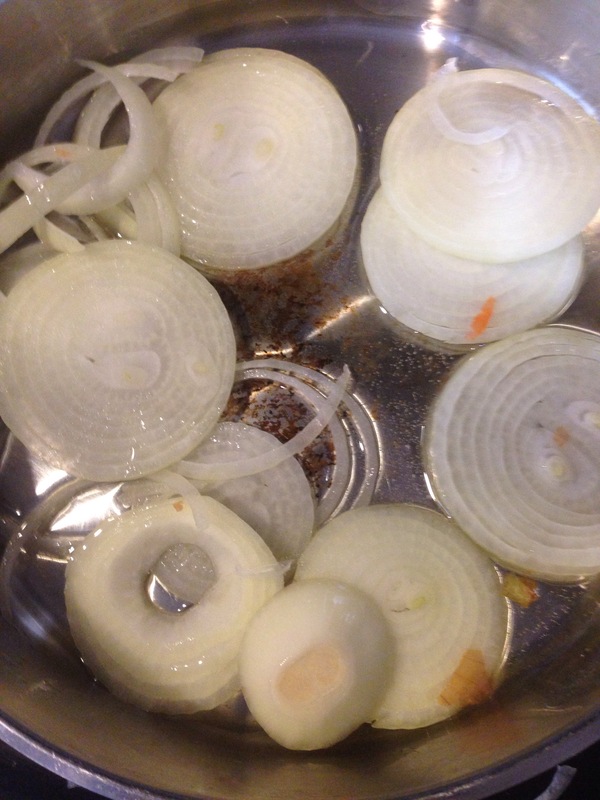 The goal is to have the onions reach a deep brown without burning them. Caramelizing onions requires medium heat, constant motion and patience. Keep moving the onions around the pan. Expect to spend 10 minutes on this process. Remove cooked pieces with a slotted spoon and place them on a paper towel. When the lentils and rice are cooked, tip the mixture out of the pan onto a platter. Arrange your caramelized onions on top and serve. This dish is best enjoyed with plain yogurt, tomatoes and cucumbers. Enjoy warm or at room temperature. Thank you, Bill. I hope you try it. I usially make double this amount and eat it over the course of a week. Its nice to have a go to dish in the fridge, and it is excellent with a tomato, cucumber, olive oil and salt salad.